For sale a vintage Pachmayr gun box from the mid 1950's with a 60mm B&L scope and 30X objective. Box shows some wear on the outside and is missing the rubber band to open the lower compartment. The box comes with eiher the old 5 gun wooden tray or the newer 4 gun plastic tray (you can have both if you want them). The B&L scope is in like new condition, fully bright. Price is $150 plus packing, shipping, and insurance by UPS or Fedex ground. Will you sell scope only? Jack H wrote: Will you sell scope only? 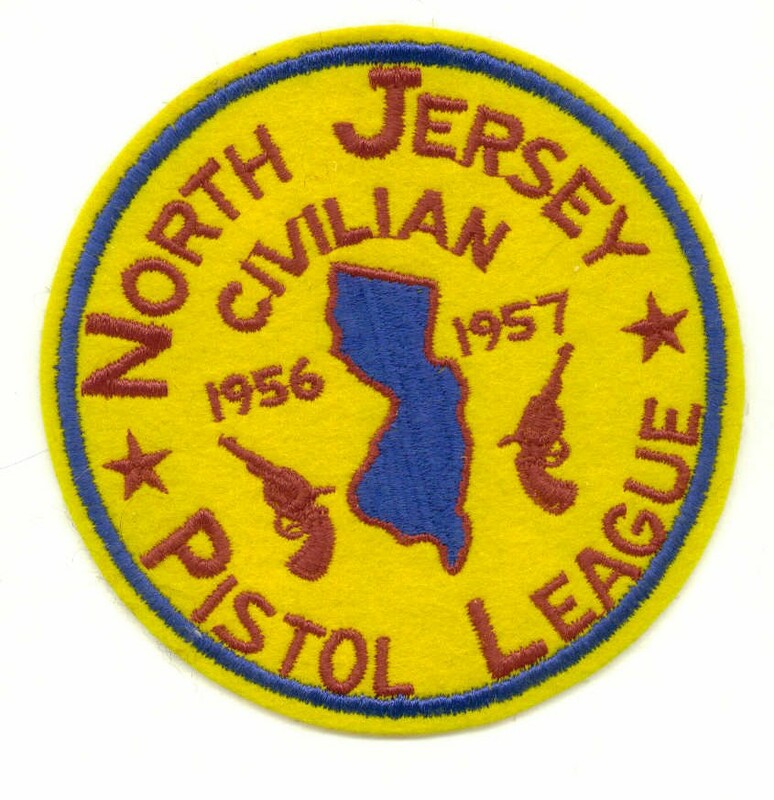 Andy, Attached is a patch from my early bullseye pistol shooting days in New Jersey. I lived in Clifton at that time. Sweet patch.... Great memories I'm sure!! How much does it weigh? With or without scope. Do Guns with scopes fit ? It weighs 18 lbs with the scope mounted and ia 18x13x9 inches. Chris Miceli wrote: Do Guns with scopes fit ? It has been a decade since I used it for bullseye pistol with either a Walther GSP or Pardini SP with Tasco red dots or Ultradot sights mounted. In the last decade I only used it as a spotting scope for rifle shooting. The opening height measured from the plastic trays bottom is 6 1/2 inches and the distance from the top of the cutouts to the top of the box is 3 1/8 inch. This should work but you will have to check the distance from the bottom of the frame to the top of the scope/red dot and see if 3 1/8 inch will work for you. My memory did not serve me correctly. The Pachmayr gun box was used in the 1950's when we shot with open sights. I remember purchasing another box when I returned to the sport in the 1980's that would house psitols with red dots or scopes.